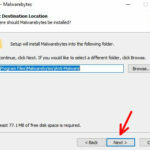 This guide will show you how to install Malwarebytes Anti-Malware onto your computer. You will also learn about all the main features and how to use them. 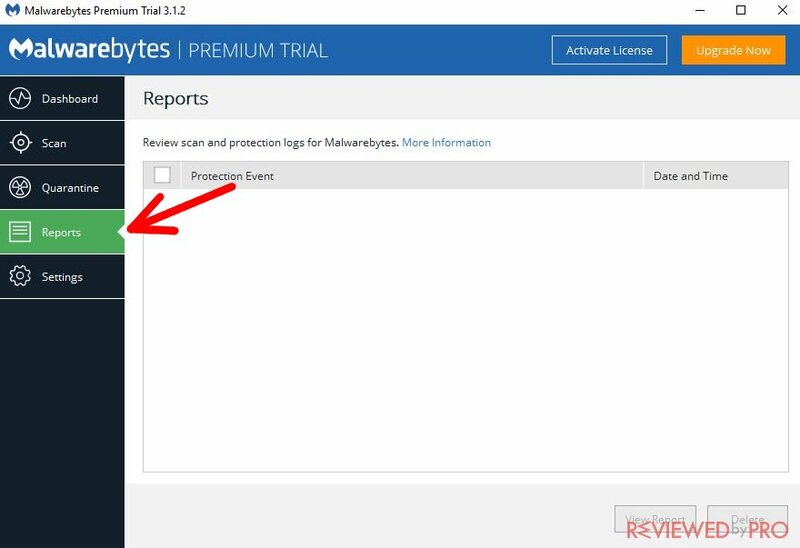 Malwarebytes Anti-Malware supports Windows 10 (32/64bit), 8.1 (32/64bit), 8 (32/64bit), 7 (32/64bit), Vista (32/64 bit, Service Pack 1 or later), XP (32 bit only). You will need an active Internet connection too. This software also supports Mac OS X (10.9 or higher) and Android (4.1 or higher). You can download your preferred version of this program from this page. The file is very light, so the whole process should last only a few seconds. To install Malwarebytes Anti-Malware, open the file that you downloaded, select your language and click “Ok”. 1. This is the beginning of the installation. 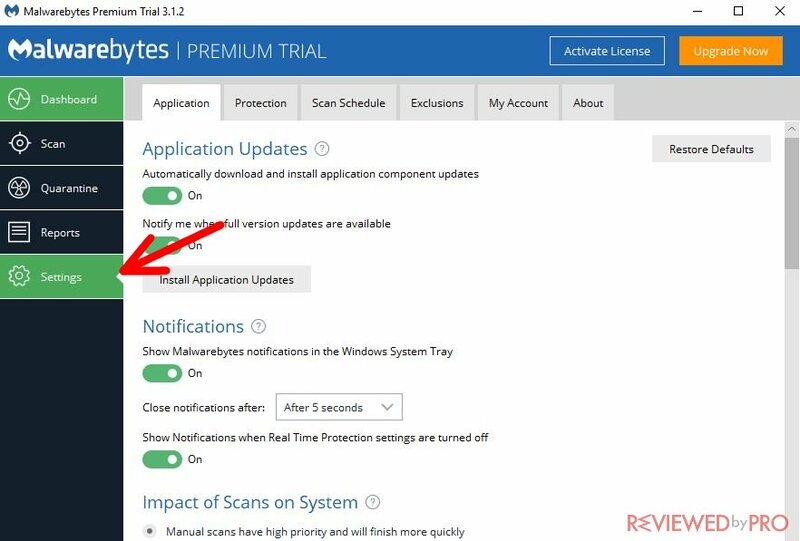 You can see the information about the version of the software that you are installing. To proceed further, click “Next”. 2. 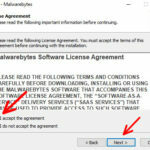 This is Malwarebytes Anti-Malware license agreement. If you accept these conditions, select “I accept the agreement” and click “Next”. 3. This is the application's information window. It is recommended to read all the information because there you can see all the changes that were made during the last update. Hit “Next”. 4. This is the destination of the installation folder. You can see the default destination, but you can change it if you want to. After that, click “Next”. 5. Here you can create a start menu folder so that you could reach the files of the software even faster. To change the folder’s name, just click on a text bar or “Browse” and choose another name and destination. If you do not want to create this folder, just click on “Don’t create a Start Menu folder” and then click “Next”. 6. 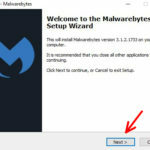 This feature will create a shortcut to Malwarebytes Anti-Malware on your desktop if you click “Next”. 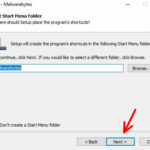 If you do not want that shortcut to be placed on your desktop, just unmark “Create a desktop shortcut” and click “Next” then. 7. Here you can see all the information about the installation. Check if everything is ok and click “Next”, and the installation will begin immediately. 8. After the installation, you will have to restart your computer in order to complete it. Choose “Yes, restart the computer now” and click “Finish”. If you want to restart it later, choose “No, I will restart the computer later” and click “Finish”. 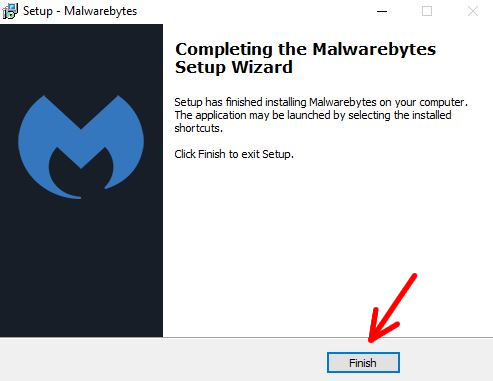 Congratulations, you have successfully installed Malwarebytes Anti-Malware software! 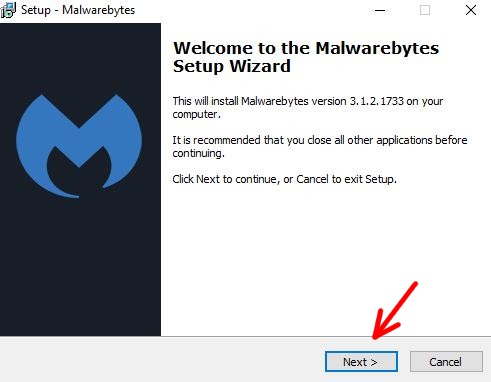 There are 5 different sections in the main Malwarebytes Anti-Malware menu. Dashboard – here is all the information about real-time protection, previous and scheduled scans and protection history. 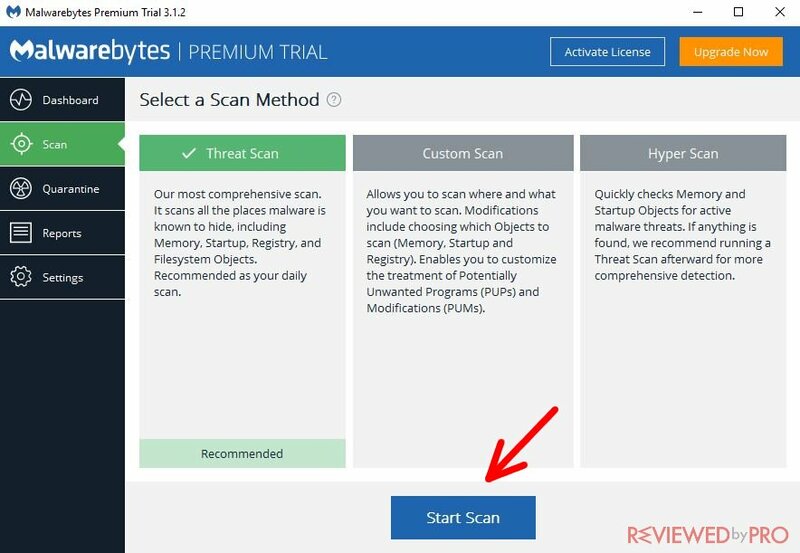 Scan – here you can choose which scan you want to perform: threat scan, custom scan, and hyper scan. 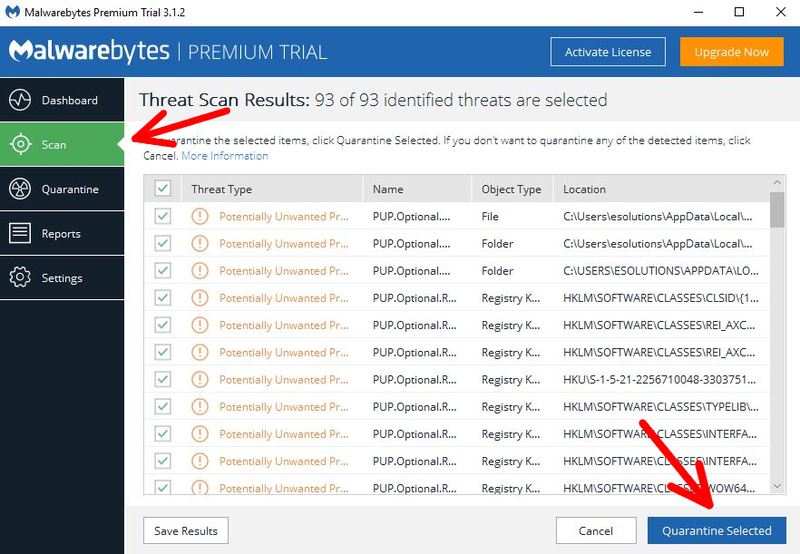 Threat scan is a full computer scan, which is the most effective. Custom scan lets you choose, which locations you want to scan. Hyper scan is a bit less effective, but the fastest scan possible. 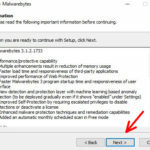 Quarantine – all quarantined files are stored here. They will not do any harm to your computer in this section. You can choose whether you want to remove or restore them. Reports – here you can find all detailed information about past scans. Settings – this section includes every setting, from various notifications to account information. To perform a scan, select “Scan” in the main screen of the program. 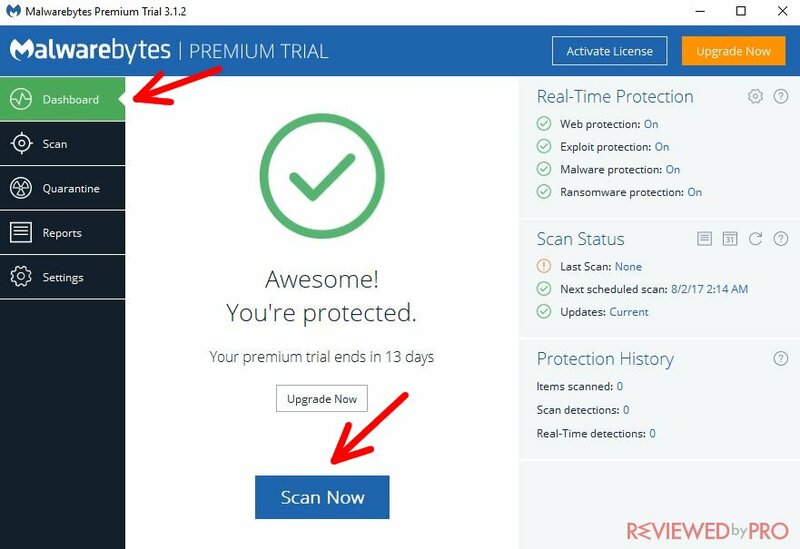 Select the type of scan you want to perform and click “Start Scan”. 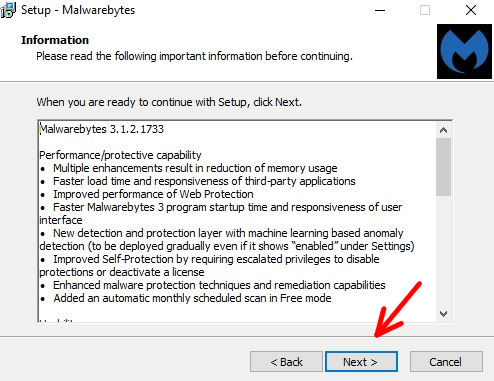 After the scan is completed, you will see a list of detected files on your computer. 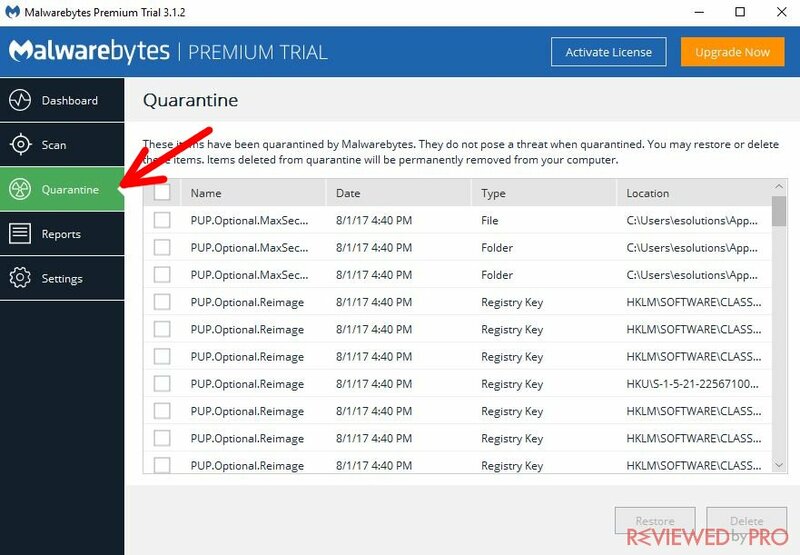 To remove them, select these files and click “Quarantine Selected”. These threats will be sent to the quarantine section where they won't do any harm to your computer. Then, go to “Quarantine section” in the left menu where you can remove or restore all these threats. If you have already tried the free version and would like to purchase the full version of the application, you can do this on this page or you can click “Upgrade Now” on the program's main window. Follow the instruction regarding the personal details and payment. Also, you have to mark the number of copies you would like to buy. 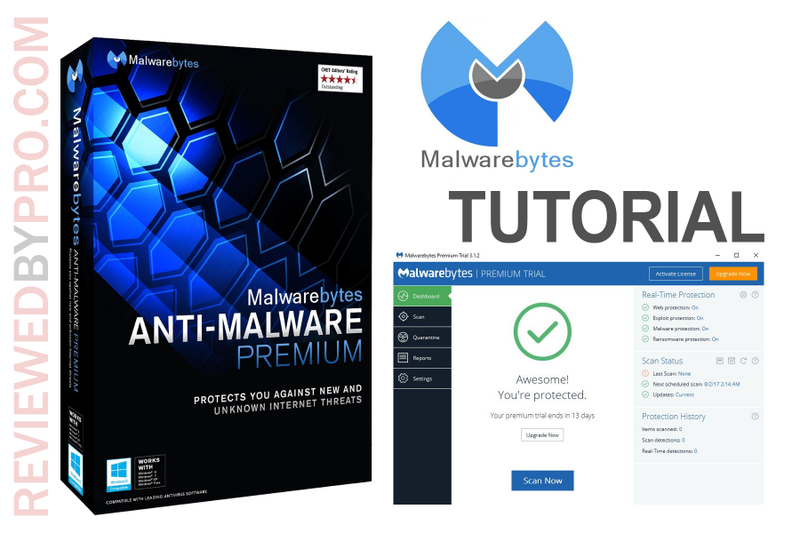 Congratulations, you have successfully purchased the full version of Malwarebytes Anti-Malware!